This simple, laugh-out-loud picture-book guide to cleaning your room is sure to make picking up a snap. Here is the first rule: Always wait until your mother hollers, "GET UP THERE AND CLEAN YOUR ROOM—NOW!" using all three of your names. Once she does, you'd better get moving. From dumping out drawers and dividing stuff into piles to arranging all eight zillion of your stuffed animals, here's the kind of advice on room tidying that everyone can relate to. 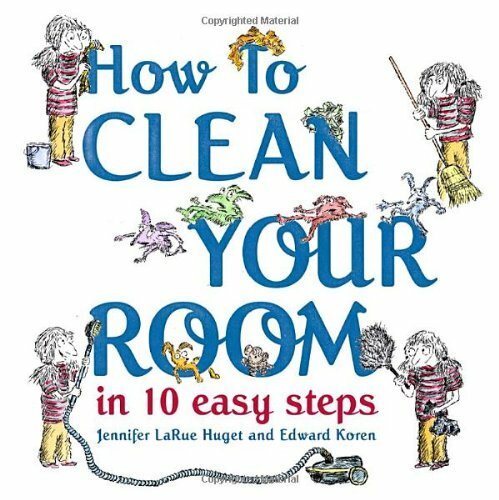 With funny, direct text by Jennifer LaRue Huget and amazing illustrations by New Yorker artist Edward Koren, this book is sure to appeal to messy kids everywhere. If you have any questions about this product by Schwartz & Wade, contact us by completing and submitting the form below. If you are looking for a specif part number, please include it with your message.